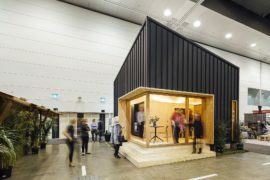 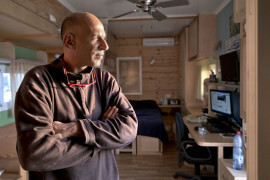 The sustainable and affordable housing movement has been picking up pace in the last few years with many innovative folk turning towards tiny, mobile structures for their housing needs. 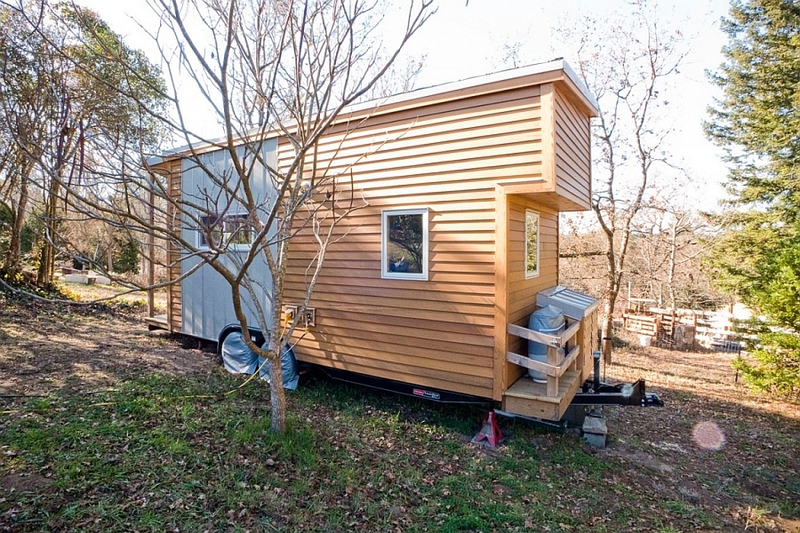 Just a couple of months ago we stumbled upon the fabulous Tiny Tack House which left many of our readers spellbound. 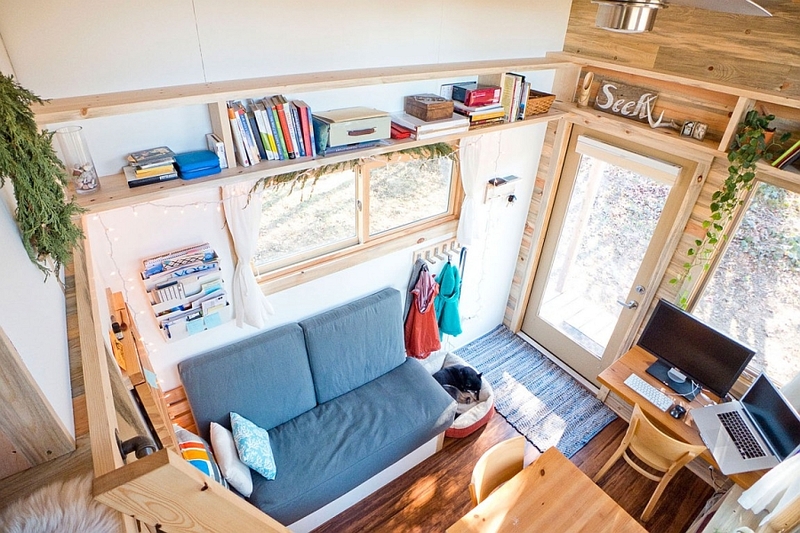 Today we take a look at the uber-cool Tiny Project home that was almost entirely built by creative web designer Alek Lisefski. 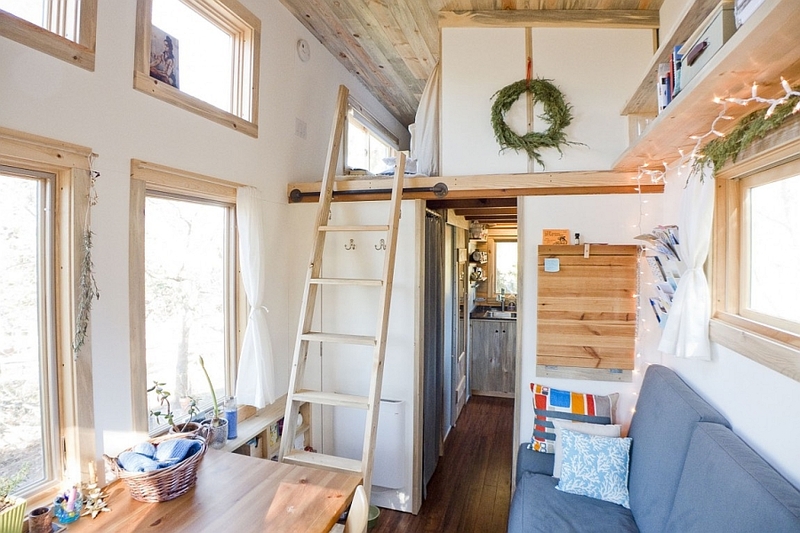 And this amazing little house is not just a showpiece as Alek is currently living in this compact house full-time along with his girlfriend and their little pet dog! 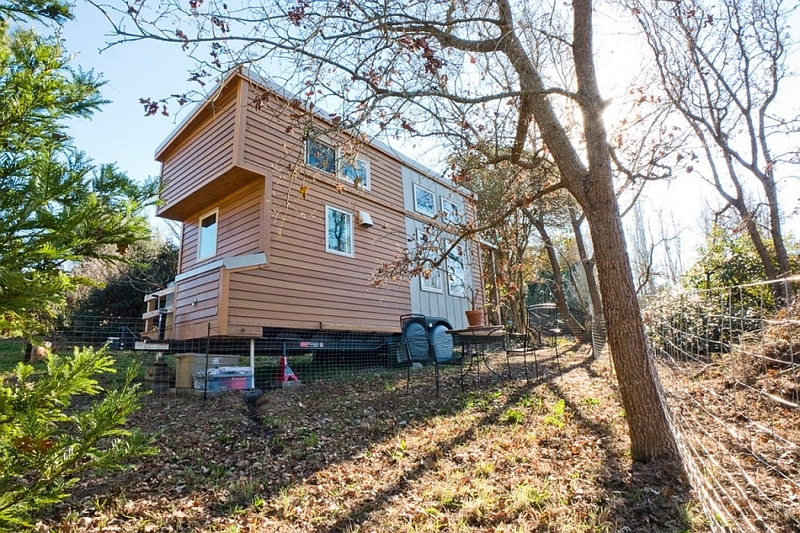 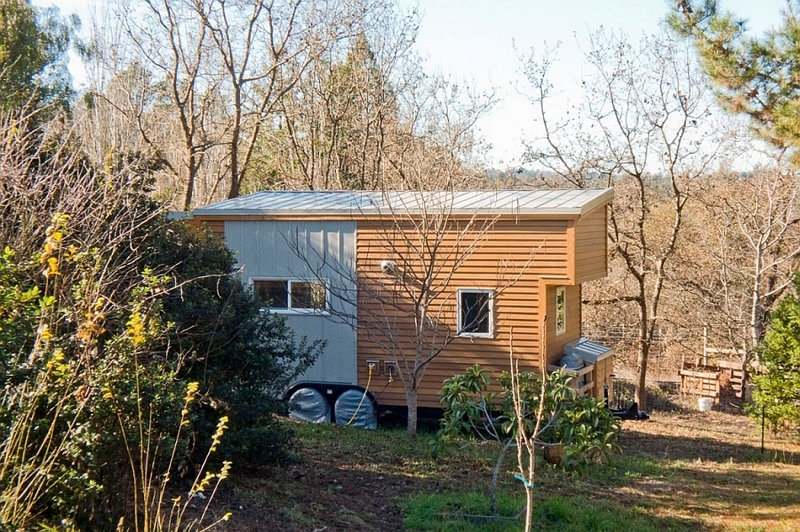 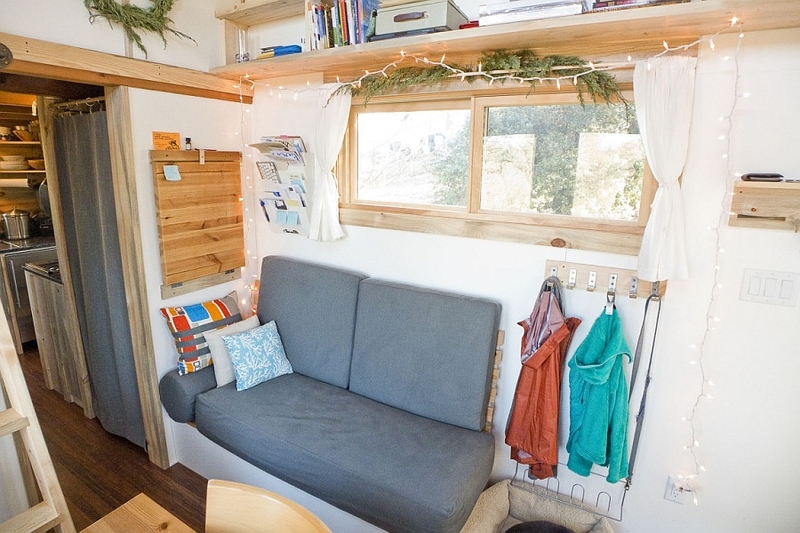 Presently stationed in Sebastopol, California this small house is completely mobile and can be towed around with ease to any location of your choice. 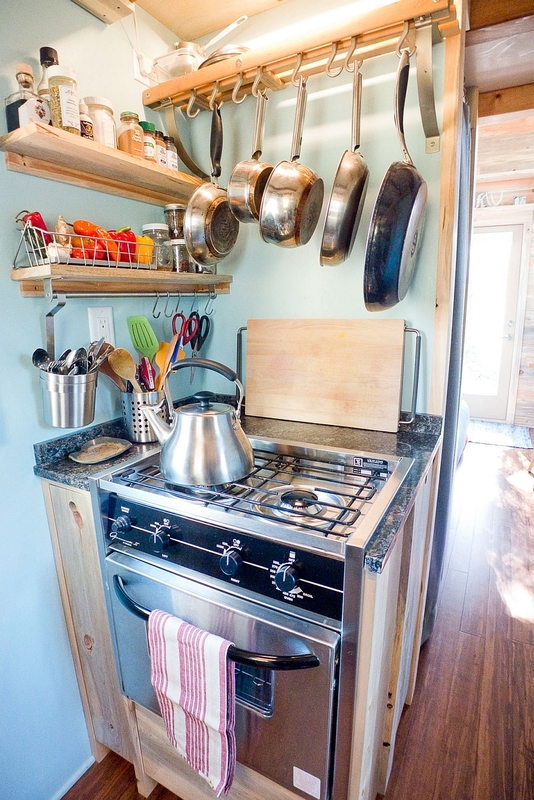 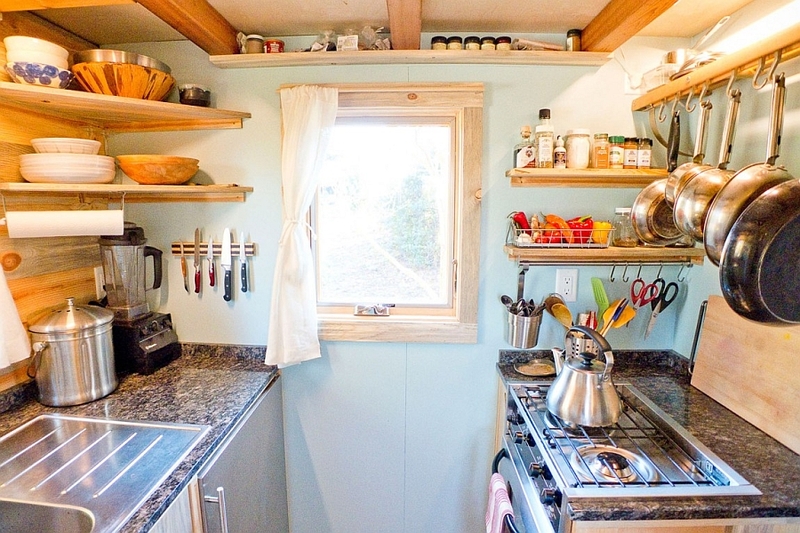 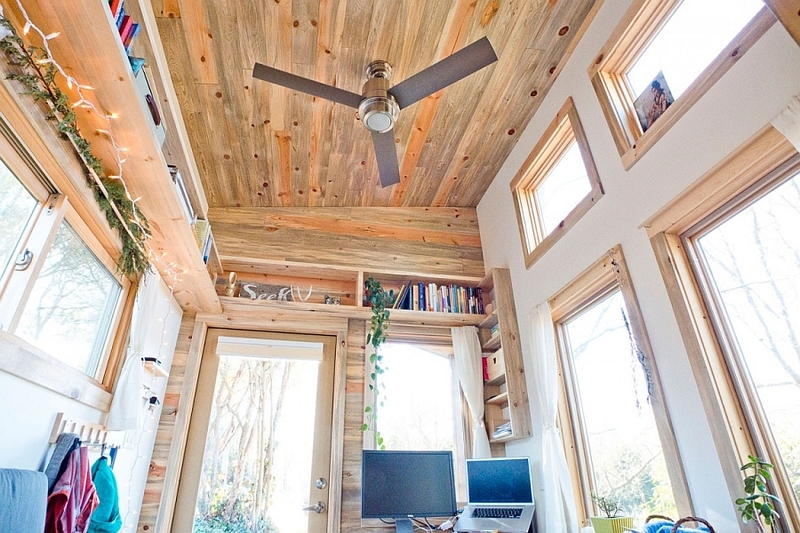 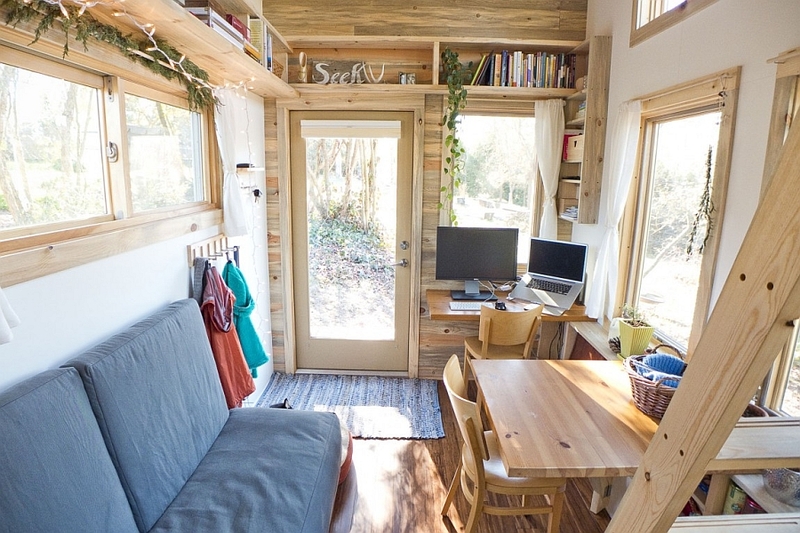 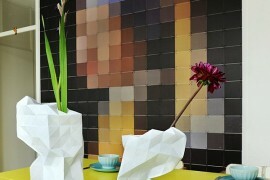 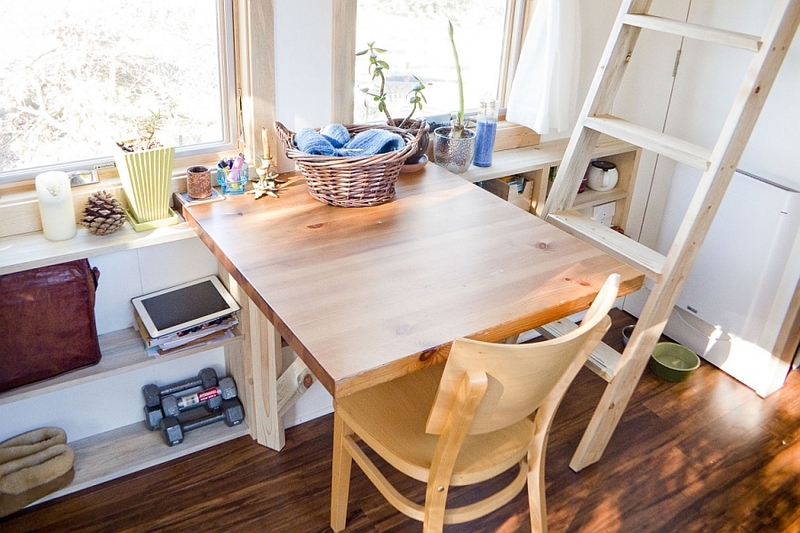 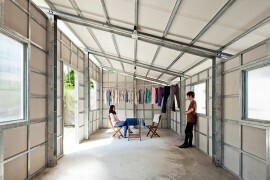 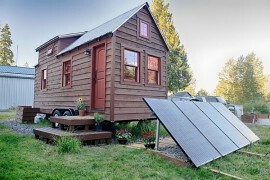 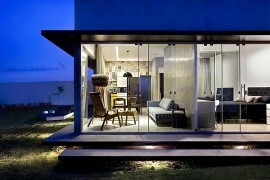 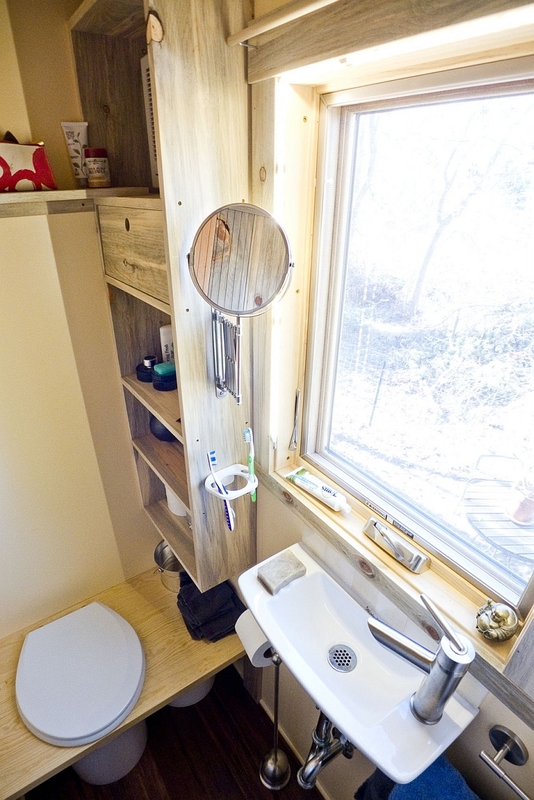 The many advantages of the Tiny Project house go beyond the obvious such as cost-effective living and portable housing. 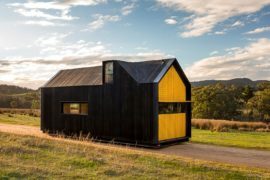 In a world where depleting land and natural resources are a major concern, such small housing solutions also look out for the well being of the planet. 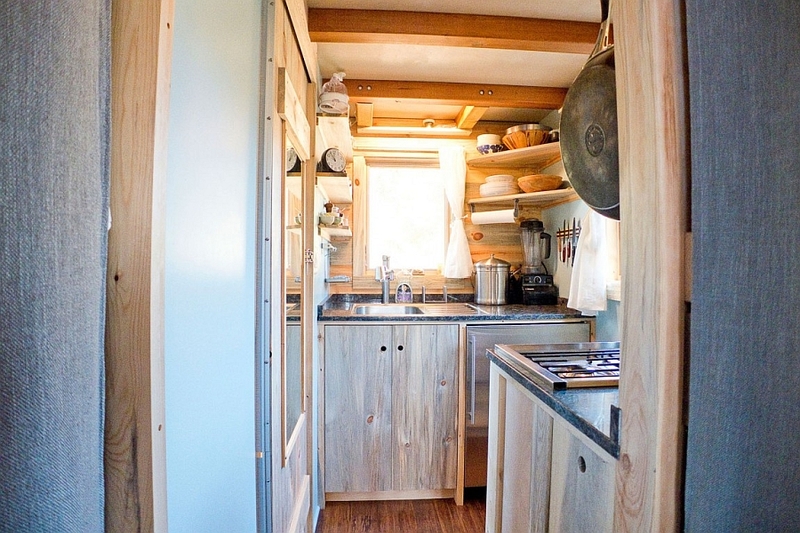 With its highly efficient use of raw materials along with every inch of space that is on offer, this little wonder encourages its owners to live an equally frugal lifestyle that does away with any excesses. 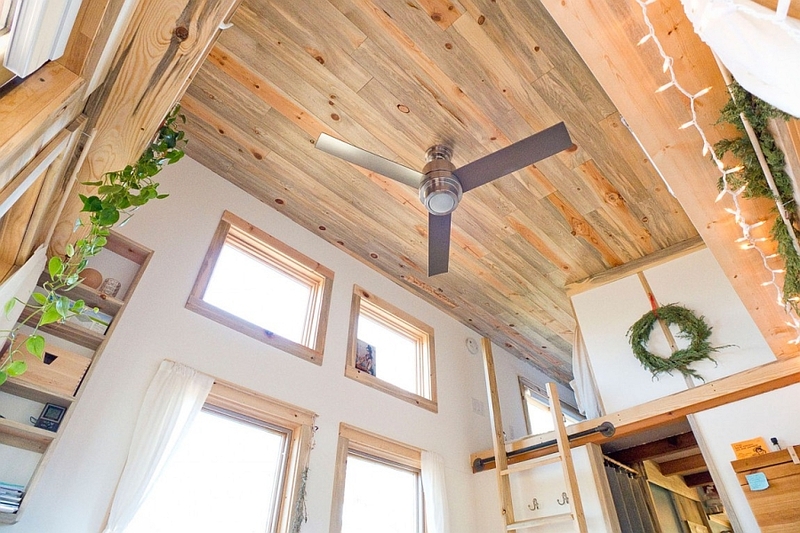 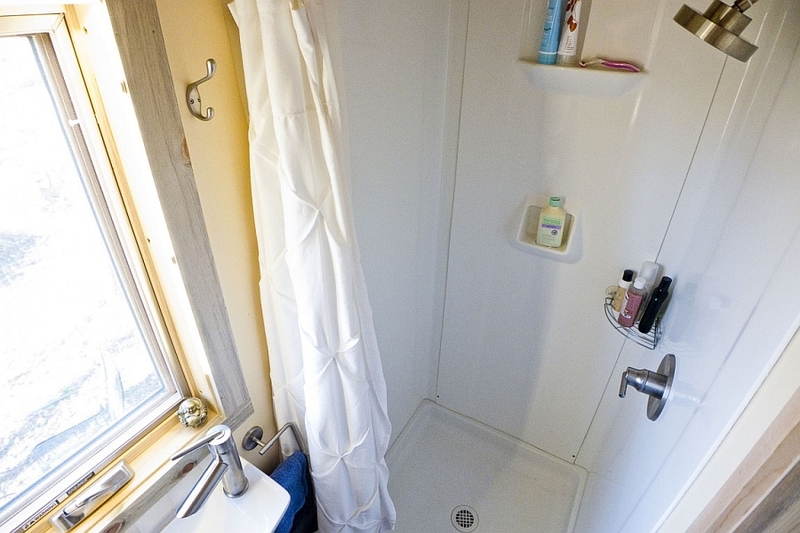 The 10 large windows along with the glass door usher in passive solar heating even as the wooden structure coupled with 3 inches of closed-cell spray foam offers the perfect insulation. 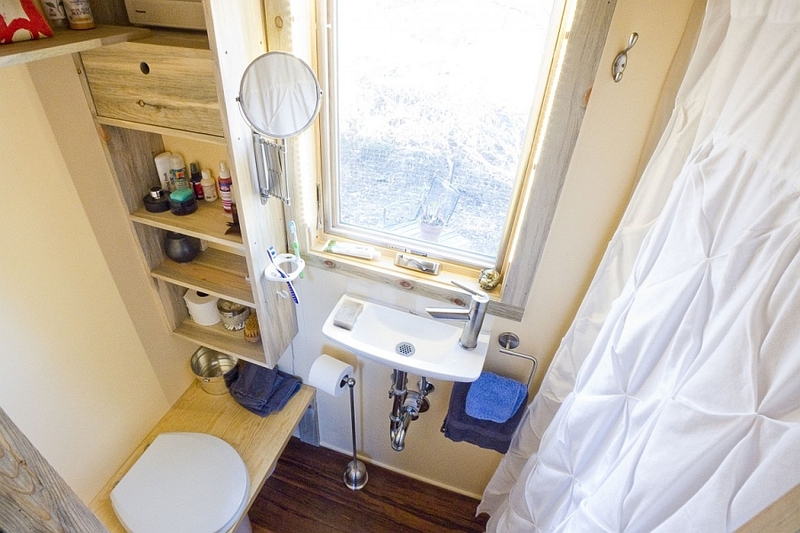 A rainwater harvesting and grey-water management system ensure that your water needs are met efficiently even as solar panels can be easily integrated for the necessary power needs. 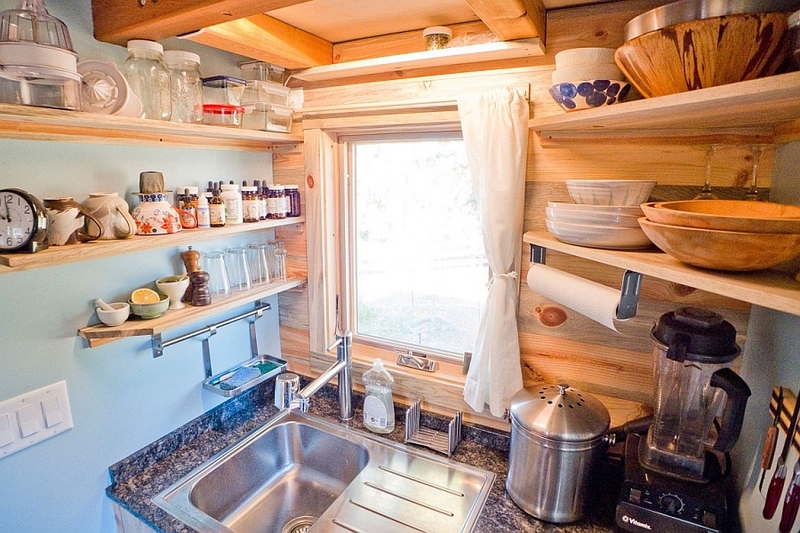 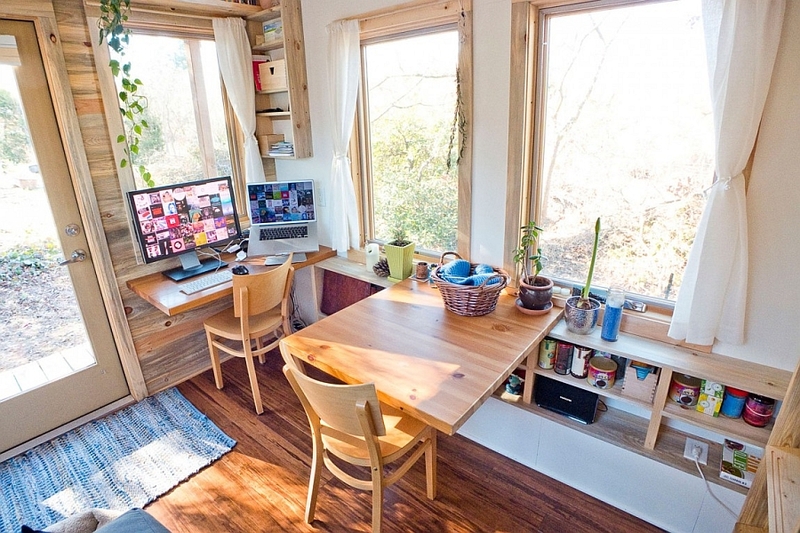 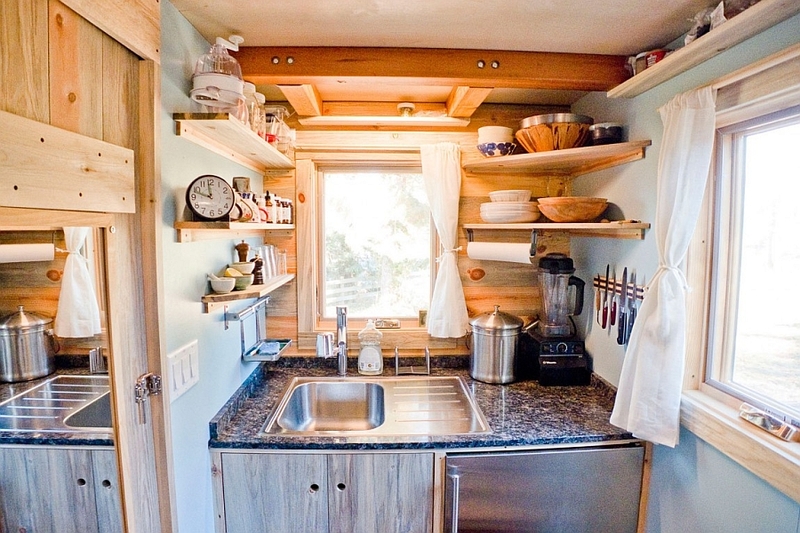 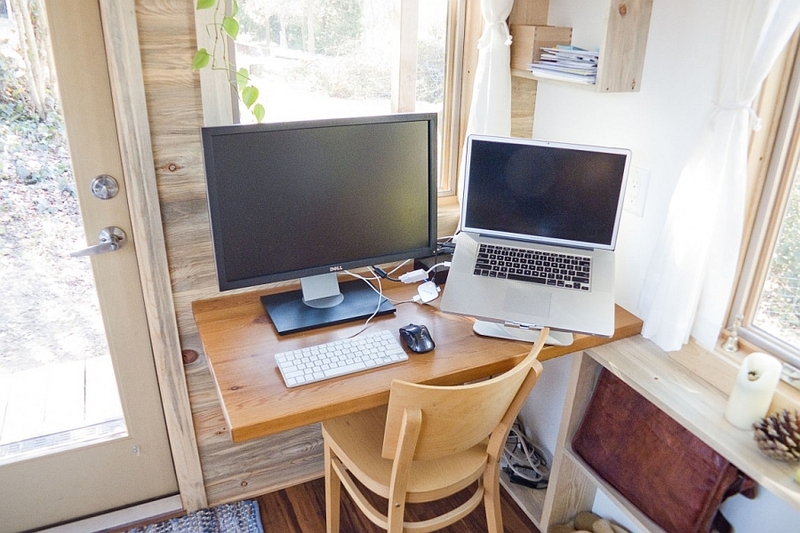 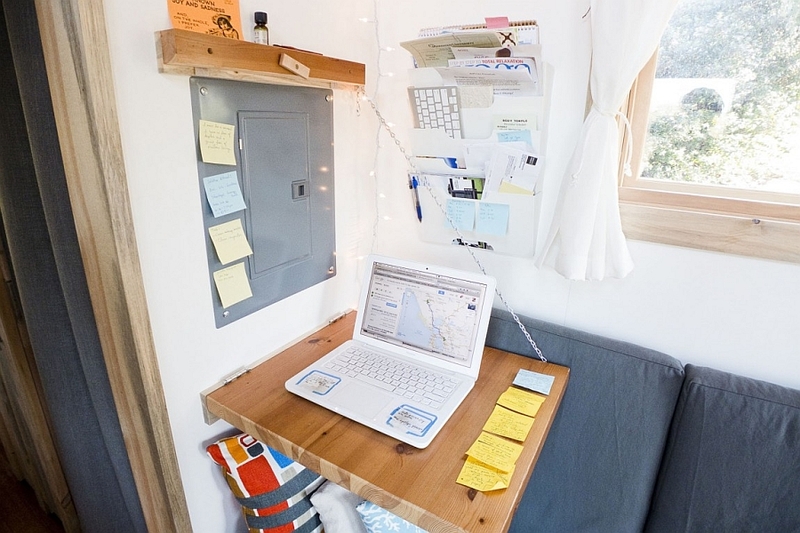 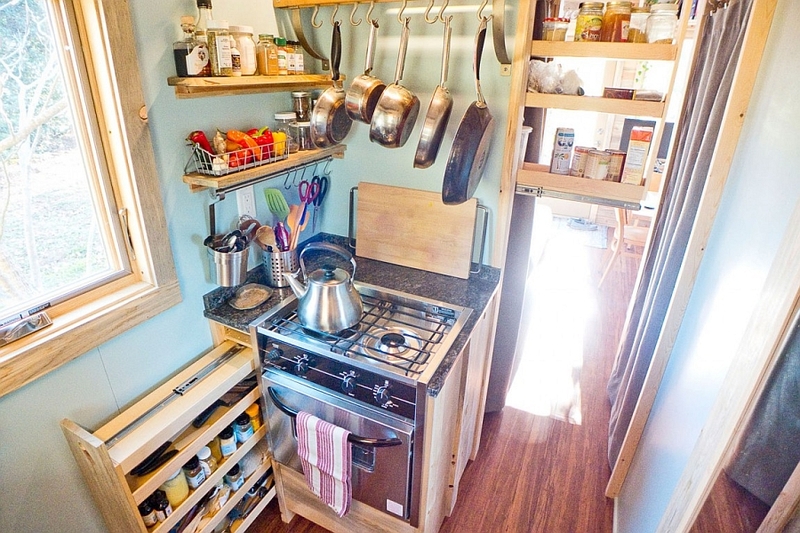 On the inside, a small living room with multiple workstations which can be folded away when not in use leads into an ultra-small kitchen and an even tinier bath. 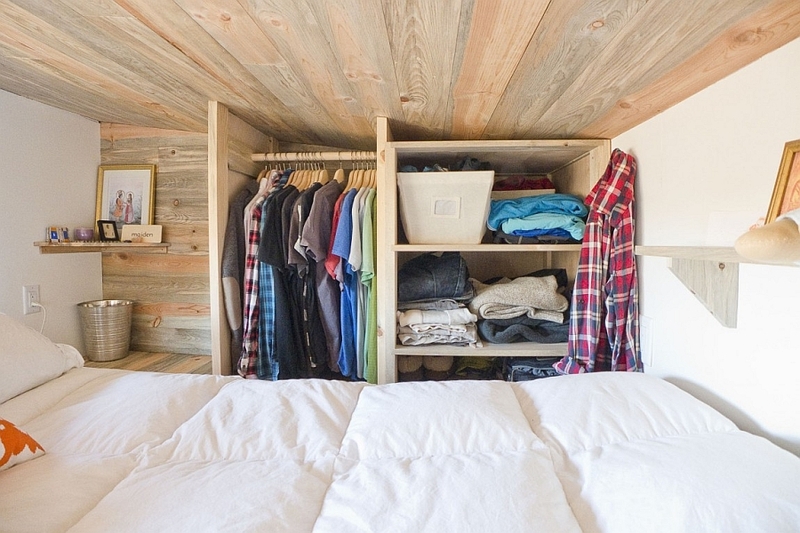 Plenty of smart shelves throughout the house and a few hidden cabinets help in keeping the space organized and uncluttered. 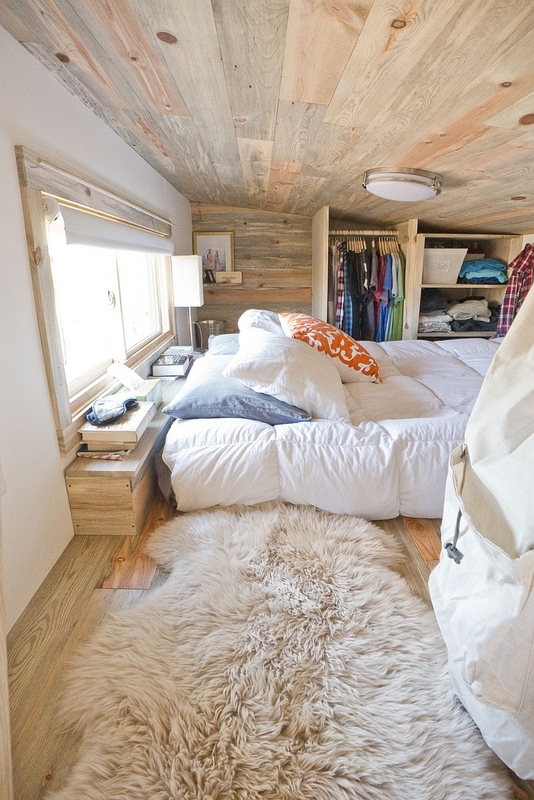 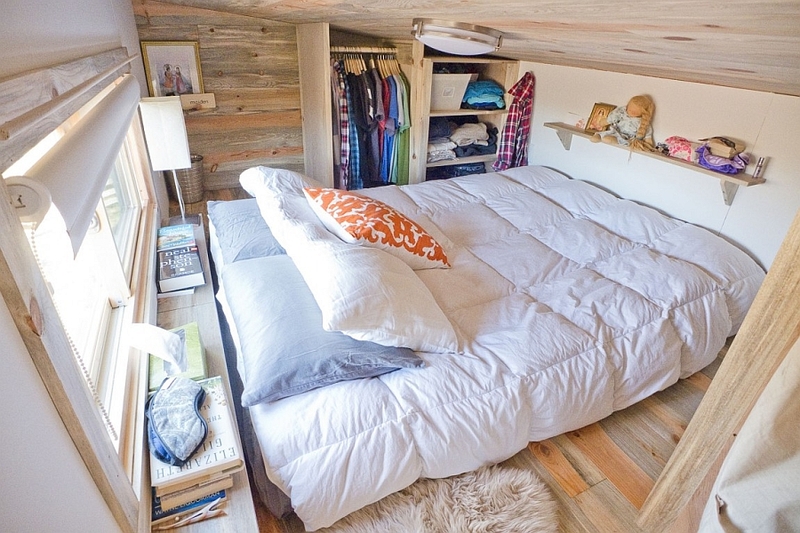 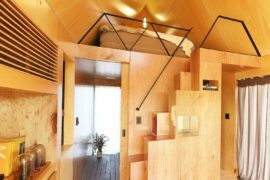 A loft bedroom equipped with a small wardrobe completes this ergonomic and inventive home. 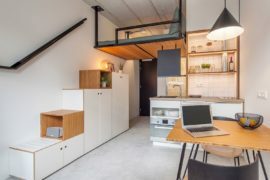 While many of us accustomed to larger residence might find the concept of tiny housing a touch too claustrophobic, they definitely offer a smart and efficient solution to those unable to keep up with the pricey real estate market.